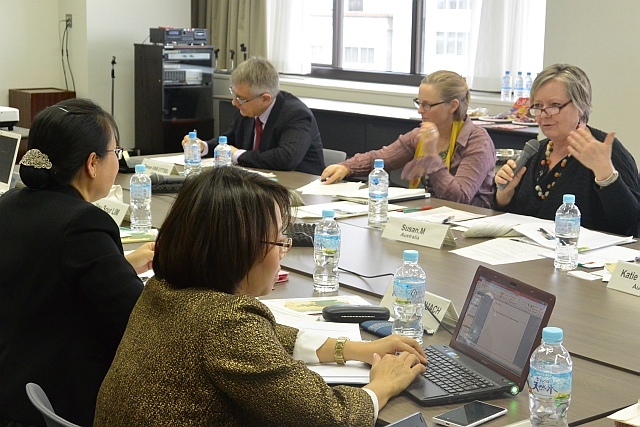 “IRCI 2nd Workshop on the Study of Legal Systems Related to Intangible Cultural Heritage in the Greater Mekong Region” was held on 17-19 December 2015, at Toyama Prefectural Civic Centre in Toyama City. 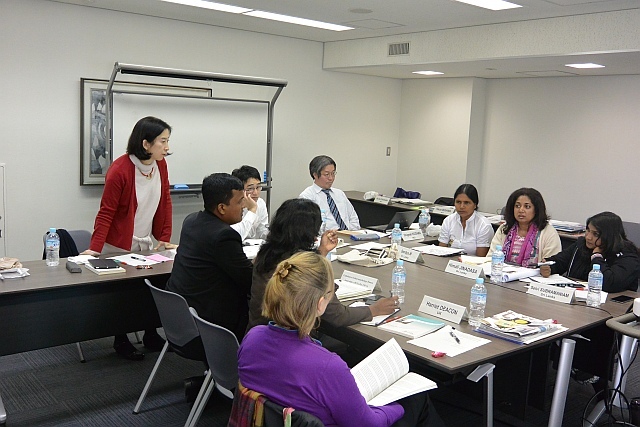 The workshop was attended by 23 experts from 8 countries. Study of Legal Systems Related to Intangible Cultural Heritage in the Greater Mekong Region is an ongoing research project of IRCI to be implemented in FY 2014-2016. The legal framework for ICH safeguarding is yet to be developed in many countries in the Mekong region having various social, economic, and political settings. By collecting and analyzing information through field surveys and interviews with government officials and related organizations in these countries, the project, in cooperation with local experts, aims to contribute to the development of effective legal frameworks that are practical and beneficial for these countries. IRCI and collaborating researchers of Kyushu University and other institutions devised questionnaires in last June, which were then distributed to the countries in the Mekong region. IRCI subsequently sent two experts to Myanmar, Laos, and Thailand in last November for obtaining much detailed information. 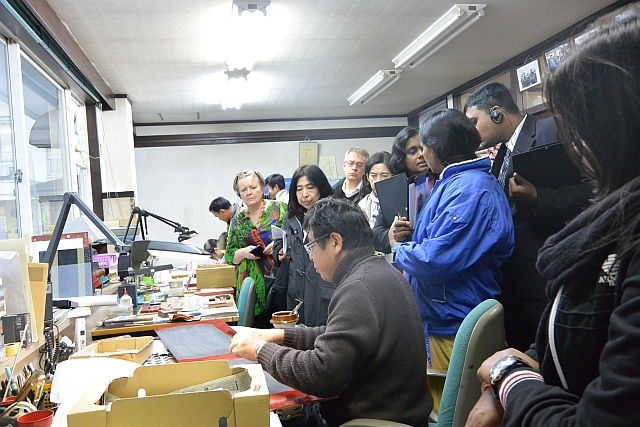 The Toyama workshop was an opportunity where experts who conducted the field survey, and government officials as well as university researchers of the countries in the Mekong region targeted by this project got together to share and discuss the updated results. The final goal of the project is to deliver a kind of tool-kit that could be useful for developing legal systems at the national and local levels. This workshop was a great success, enabling the basic discussions toward this goal. 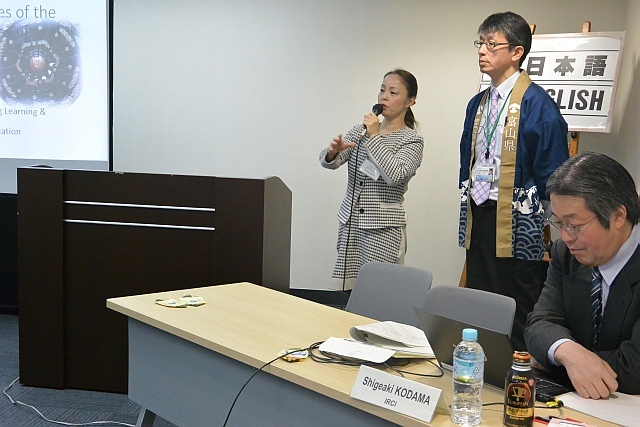 Thanks to the cooperation of Toyama Prefecture having the good practices of revitalizing traditional craft productions, it became possible to include as part of the workshop lectures on local systems for safeguarding ICH in Toyama Prefecture and Takaoka City. 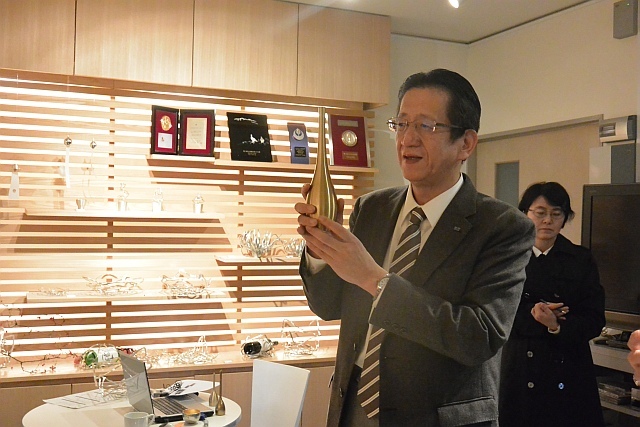 The workshop also provided an opportunity for visiting craft studios in Takaoka City to interview local artisans. These sessions of the workshop were also joined by participants from Sri Lanka: two experts of the National Craft Council and two female artisans from conflict-affected districts such as Jaffna, who are participating in another project of IRCI titled Research for Endangered Traditional Handicrafts in Post-Conflict States (Sri Lanka). With these Sri Lankan participants, IRCI discussed practical plans and marketing strategies for regenerating handicrafts in Sri Lanka.